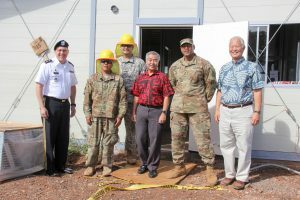 Governor Ige with members of the Hawai’i National Guard, Maj. Gen. Joe Logan and project developer Mel Kaneshige at Kahauike Village. 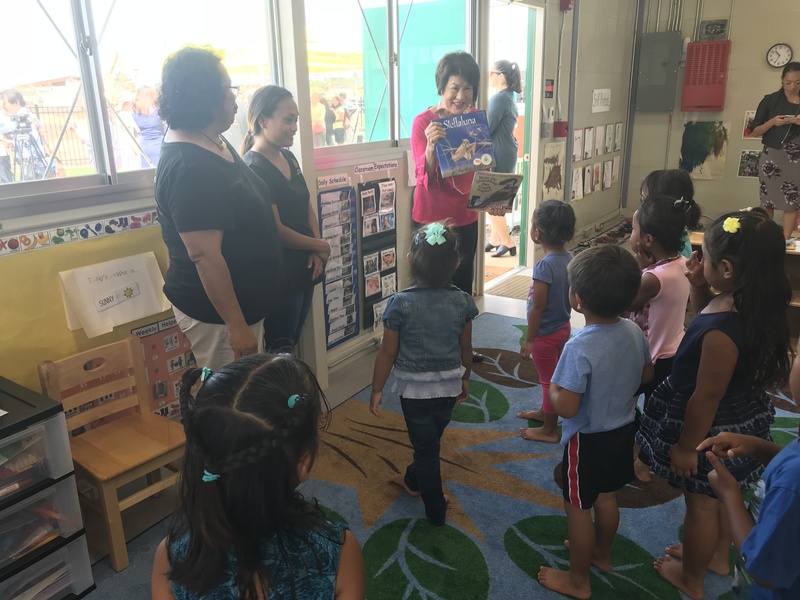 First lady Dawn Amano Ige reads to children at the blessing of Kahauike Village’s new preschool. 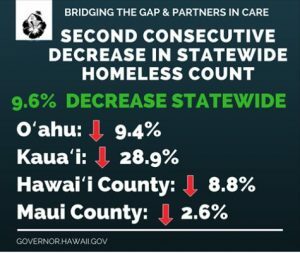 Homeless count down for second year in a row – Hawai‘i’s homeless count decreased almost 10 percent statewide — from 7,220 in 2017 to 6,530 in 2018. “This validates our Housing First approach, which directs resources to programs we know work,” said Governor Ige. He also has initiated plans to use $30 million in funds appropriated by the Legislature to establish at least three ‘Ohana Zone sites on O‘ahu and one each on Maui, Hawai‘i island and Kaua‘i. The Family Assessment Center in Kaka’ako, under the Department of Human Services, continues to help families find and maintain permanent housing. Surveys showed homelessness decreased statewide for the past two years. Family Assessment Center (FAC) and Kahauiki Village continue work – The FAC in Kaka‘ako continues to help families connect to permanent housing, jobs and an array of services in less than 90 days. The center is expected to serve more than 400 people in the next two years through a multi-generational, “‘Ohana Nui” approach. 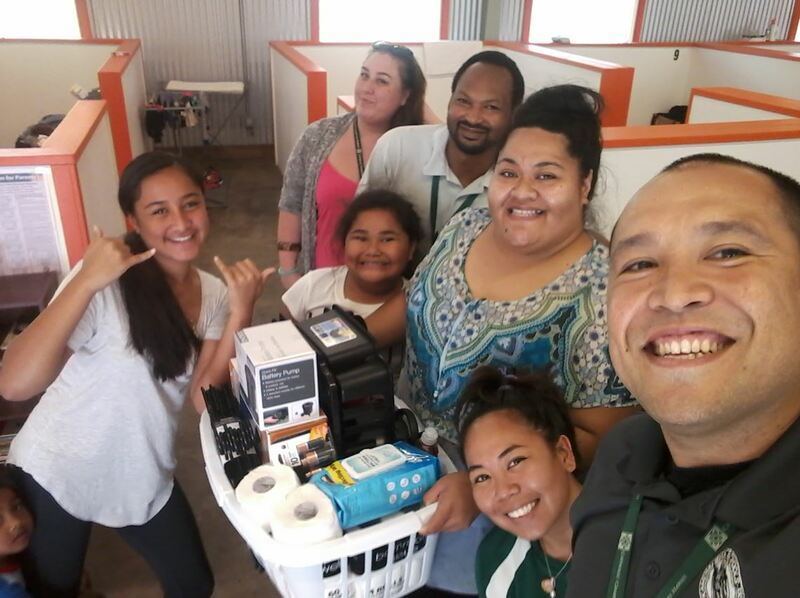 Kahauiki Village, a public-private partnership launched by businessman Duane Kurisu on state land, provides affordable rentals for working families who need housing.